Nicotine is a colorless alkaloid chemical that is most commonly sourced from the tobacco plant, which is in the nightshade family of plants. Nicotine is also present in small amounts in tomato, potato, green pepper, eggplant, and coca plants. Most commonly known as the addictive ingredient in tobacco products, nicotine is often mistakenly thought to be a harmless chemical otherwise. While research is ongoing regarding nicotine and how it affects the human body, a number of facts about the hazards of nicotine are available today, some of which might surprise you. When inhaled, nicotine travels to the brain quickly (within 7 to 10 seconds) and attaches to receptors where the neurotransmitter acetylcholine would normally dock. This starts a chain of chemical reactions that influence numerous bodily functions. Most smokers are familiar with the feeling of a racing heart and/or shallow breathing when they smoke. Adrenaline, the 'fight or flight' hormone is responsible for this. When nicotine reaches the brain, adrenaline is released, increasing heart rate, blood pressure, and restricting blood flow to the heart. Adrenaline also tells the body to move excess glucose into the bloodstream. At the same time, nicotine hinders the release of insulin from the pancreas, which would remove excess sugar from the blood. The result is that smokers are often in a state of hyperglycemia, meaning they have more sugar in their blood than is normal. High blood sugar dampens hunger, and this is a contributing factor to the appetite-suppressant effects of nicotine. Dopamine is another neurotransmitter that is activated when nicotine reaches the brain. Dopamine causes feelings of euphoria and is thought to play a significant role in addiction. Nicotine is a stimulant, but depending on the smoker's mental and physical state, it can be perceived as energizing or relaxing. Nicotine is extremely poisonous. Just 30 - 60 mg of nicotine ( a drop of pure nicotine in liquid form) is a lethal dose for an average adult. That said, tobacco products do not contain enough nicotine to cause a fatal overdose when used as directed. For example, a typically manufactured cigarette contains about 10 mg of nicotine, but most of it goes up in smoke, with approximately one milligram of nicotine being inhaled by the smoker. Nicotine can be lethal to children in doses as small as 10 milligrams. Plants produce nicotine to protect themselves from predators, and people use nicotine in pesticides for the same reason. Nicotine can be absorbed through the skin, which is the delivery method with the nicotine patch. A spill of electronic cigarette nicotine solution (known as e-juice) can be hazardous for this reason. Researchers have discovered that the nicotine in secondhand smoke can be absorbed through bare skin that is exposed to the smoke. It can also be absorbed into the skin from clothing that has been contaminated by nicotine. Nicotine is present in the residue left behind by cigarette smoke in a closed environment, also known as third-hand smoke. This presents a danger to small children who may ingest nicotine on toys and small hands that find their way to a child's mouth. Young children are also at risk of nicotine poisoning from chewing on full cigarettes/cigarette butts, or NRT products like nicotine gum or nicotine patches. Please keep these items out of the reach of children. Nicotine may decrease the ability of sperm to fertilize eggs by as much as 75 percent. Nicotine docks with receptor sites on sperm cells and impedes their viability in men who are heavy smokers. Nicotine causes blood vessels to constrict. In pregnant mothers, this translates to less oxygen and nutrients delivered to the fetus. Nicotine easily crosses the placental barrier and can be detected in both fetal circulation and amniotic fluid. At this time, it is not known how much nicotine in vitro would be considered fatal for the fetus. Nicotine accumulates in breast milk, is passed on to nursing infants, and appears to affect their sleep patterns. Smoking is a known risk factor for degenerative disc disease. 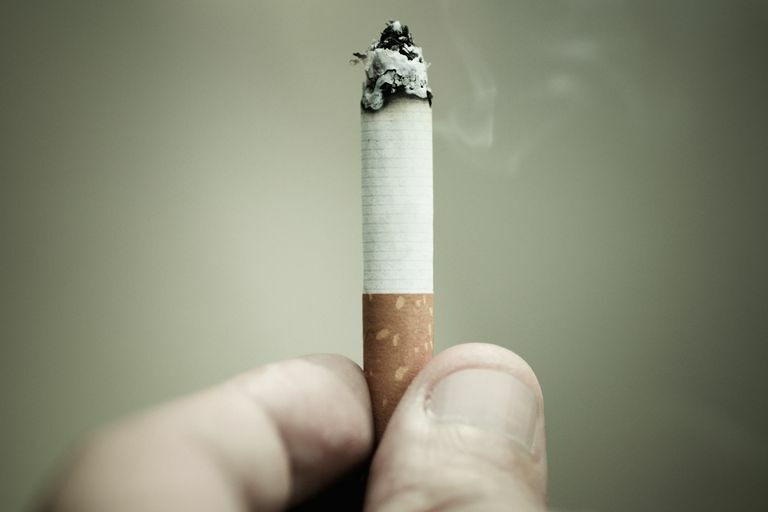 Nicotine and carbon monoxide in cigarette smoke hinder spinal disc cells from absorbing vital nutrients in blood, which in turn leads to premature dehydration and degeneration of spinal discs. Nicotine is among the most toxic of all poisons and is highly addictive. It is a mistake to think that using nicotine in a form that doesn't involve cigarettes is harmless. Products like smokeless tobacco and electronic cigarettes may be considered less harmful when compared to cigarette smoking, but they carry considerable health hazards as well. And don't forget, while nicotine addiction is actively engaged, ex-smokers are at a heightened risk for a full-fledged smoking relapse. Don't settle for less than you deserve. Recovery from nicotine addiction takes some work, but it is doable and so rewarding. Life works better on every level when we free ourselves from the self-imposed prison addiction puts us into. International Programme on Chemical Safety. Nicotine. Monell Chemical Senses Center. Nicotine in Breast Milk Disrupts Infant's Sleep Patterns. September 4, 2007. National Institute on Drug Abuse. Drug Facts: Cigarettes and other Tobacco Products. Updated May 2016. National Institutes of Health. Effects of Nicotine During Pregnancy: Human and Experimental Evidence. September 5, 2007. Wiley Online Library. Measurements of Dermal Uptake of Nicotine Directly from Air and Clothing. September 29, 2016.